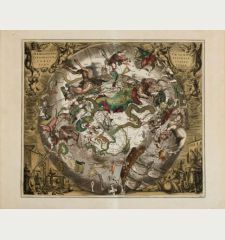 Copper engraved map of the planetary motion as per observations of 1708 and 1709 by J. G. Doppelmayr. 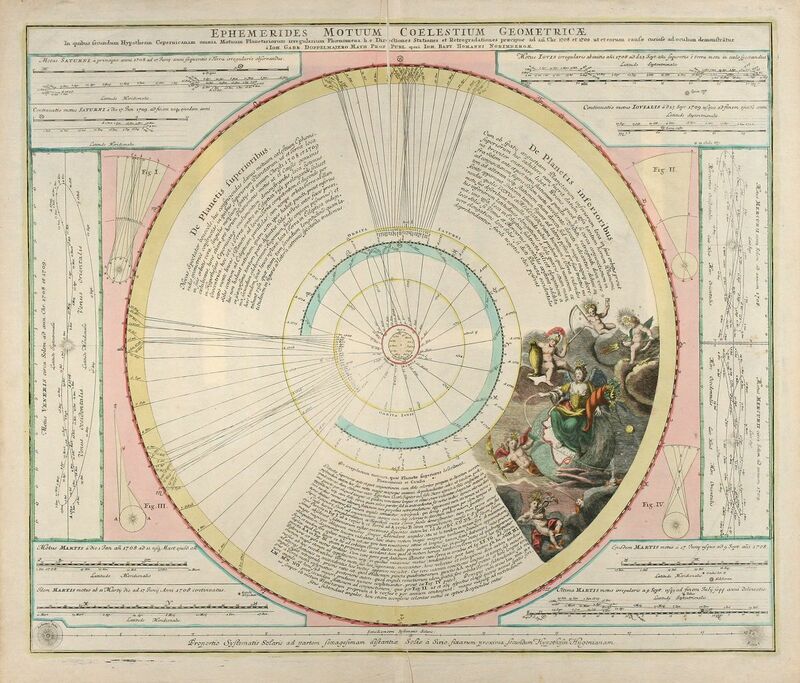 Also showing the Hooke's calculation of the distance between the Sun and Sirius. 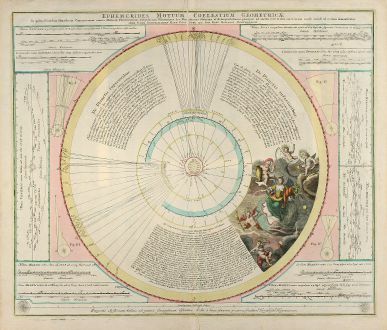 From "Atlas Coelestis" published 1742 by J. B. Homann in Nuremberg. 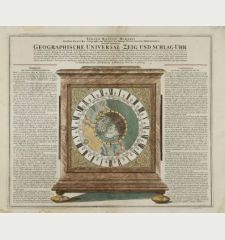 J. G. Doppelmayr was a Germany mathematician, cartographer and astronomer born 1671 in Nuremberg. 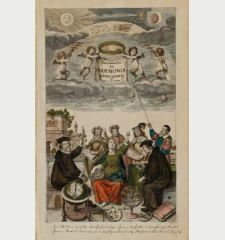 He became Professor of Mathematics in 1704 until his death in 1750. 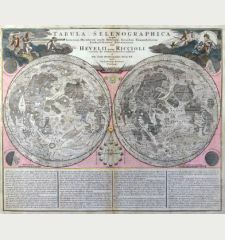 In 1742 he completed his Atlas Coelestis together with Johann Baptist Homann. He was also member of the Royal Societies in Berlin and St. Petersburg. 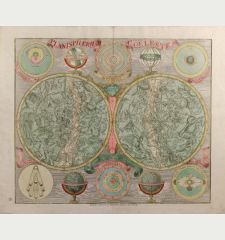 Johann Gabriel Doppelmayr: Ephemerides Motuum Coelestium Geometricae.